It’s been weeks since I’ve written about the things that travel my heart. Weeks. I just needed a little inspiration. Something beautiful to carry me to words that could float me. Float me like a butterfly and give me a sting. Like a bee. 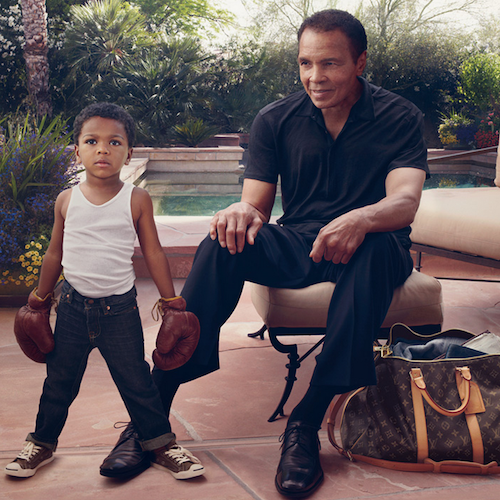 Louis Vuitton’s online feature of Muhammad Ali (aka Cassius Marcellus Clay, Jr.) was just the thing. 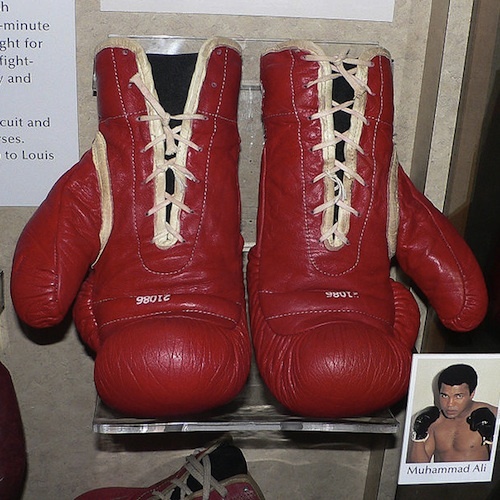 Muhammad Ali (nicknamed The Greatest) is an icon – not was. Three-time Heavyweight Boxing Champion and Olympic Gold Medalist, Ali did not just hit hard in the boxing ring, he hit hard with words. For Civil Rights, Human Rights, and the dignity of the human person. Oh – Ali threw his Olympic Gold medal into the Ohio river when an American restaurant refused to serve him a meal because he was black. It is an honor that you or I, perhaps, shall never receive. In other words, you and I may never compare to The Greatest. Remember that when you think of Ali. And don’t stop trying to be a better you. Muhammad Ali’s story reminds me that leadership is not just about glory and the epic, fortunes, windfall, and accommodations. It is much more about the service, of what was given, and the sacrifices made to advance a good cause. I am reminded that leadership demands that we have to stake our resources (personal, financial and otherwise) against the challenges which we face as leaders. And the challenges we must face because someone must do the right thing, set an example, and demonstrate the taller measure of humanity. Muhammad Ali put his career and honor on the line – when he spoke out against war. He was arrested. He was illegally and unconstitutionally harassed by the United States Federal Government. Yes. That’s right. Any government is capable of doing as much evil as it may do good. Ali was even on the President’s black list. For all the wrong, ignorant and, yes, prejudicial reasons. Years later, the United States Supreme Court vindicated Muhammad Ali. What good cause do you serve, today? What good cause do I serve?! What kind of future are you building? Is it a future of we. Or just you? It is a question that I put to the man in the mirror. Often.